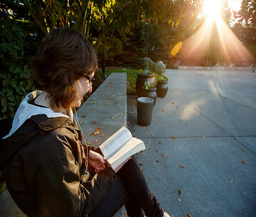 Students who are adventurous, forward-thinking, creative and have an interest in social justice are drawn to Seattle University, located in the heart of a city with unparalleled access to innovation and culture. 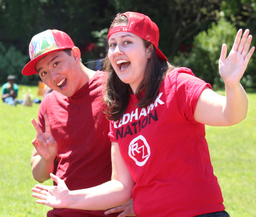 With more than 65 academic programs across five schools and colleges, Seattle University offers students an education that is both contemporary and rooted in a nearly 500-year-old Jesuit Catholic tradition. Our curriculum and character stretch far beyond the classroom and into the world that surrounds us. 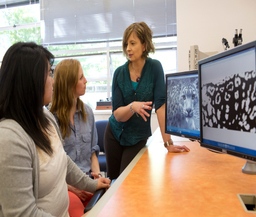 Our 4,600 undergraduate students have endless opportunities for career development and exploration. You can spend your summer interning for a Fortune 500 company in downtown Seattle and your evenings hanging out where music fans first discovered Nirvana. It all begins here at Seattle University. That first class. That first student club. That moment when you and your peers look around and realize that in a city so full of culture and history, you are one of the ones prepared to make a difference. 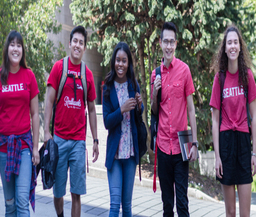 Seattle University is committed to qualitative decision making based on evaluations of students as a whole. Decisions are based primarily on individual course selection, performance and trends. 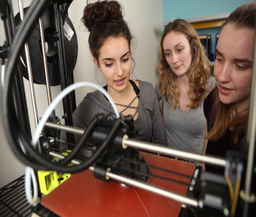 The expected academic program comprises 16 units of coursework, including four years of English, three years of social studies or history, two years of a foreign language, three years of college-preparatory mathematics and two units of lab science (three are preferred). 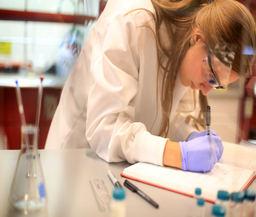 Laboratory physics and chemistry, as well as four units of college-preparatory mathematics are required for engineering; the university also requires laboratory chemistry and biology for admission to the nursing program. Also required for all programs are official scores from either the ACT or the SAT. The middle 50 percent of enrolling freshmen have secondary school averages of 3.4-3.9 (on a 4.0 scale). Essays or personal statements are required for admission and are carefully considered during application review. College credit is awarded to those who have successfully earned minimum scores on Advanced Placement or International Baccalaureate examinations. Applications and information can be obtained by contacting the Admissions Office. Secondary school students who have completed at least six semesters are encouraged to complete the application process no later than Jan. 15 of their senior year, the deadline for regular admission. For those who wish to apply via Early Action, the deadline is Nov. 15. Transfer students must submit official transcripts from all post-secondary institutions attended, regardless of whether course work was completed. The recommended financial aid/admission deadline for transfers is March 1, however transfer applications are welcomed until Aug. 15. Campus visits are scheduled Monday through Friday and many Saturdays. Guests can attend a class, meet with faculty, participate in a campus tour and speak individually with representatives from admissions. Students can apply directly or online at seattleu.edu. Seattle University is a member of The Common Application. 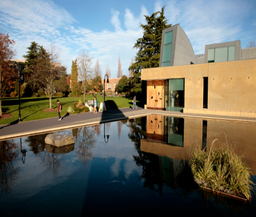 At the center of Seattle University's Jesuit academic experience is the Core Curriculum. With an emphasis on rigorous, contemporary courses, the Core is comprised of 12 classes to be taken over four years. 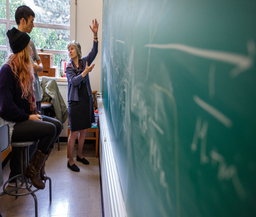 Classes have been designed by faculty members who have used their expertise to shape the content of each class, and the curriculum invites students into engaged learning about themselves, their communities and the world. A few interesting sample course titles include: "The Rhetoric of Sustainable Food," "Biotech: Problem or Solution?," "Cross Cultural Perspectives," and "Potions for Muggles." Designed to help students develop intellectual abilities, there's a strong liberal arts focus with broad exposure to the humanities, social sciences, natural sciences and arts. Instead of broad survey courses, Core courses focus on specific questions. The study of those questions gives students a closer look at a discipline and how knowledge is pursued. There's also a focus on global engagement so students can examine their roles in local, regional, national and transnational cultures and communities. 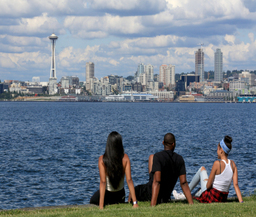 Study abroad programs at Seattle University range in length from one week, one summer, an entire academic year abroad and everywhere in between. Seattle University students come to understand the motivations, ideologies and cultures of other people by simply living among them. Each year, some 550 students travel, learn and make positive impact through community service in more than 55 countries. The university offers 65 majors and 31 minors in five colleges and schools: Albers School of Business and Economics, College of Arts and Sciences, College of Nursing, College of Science and Engineering and Matteo Ricci College. Undergraduate degrees include Bachelor of Arts, of Science, of Science in Nursing, of Social Work, of Criminal Justice and of Arts in Business Administration. 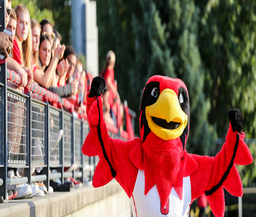 For specifics on majors and minors, visit the Seattle University website at seattleu.edu. For the 2018-2019 academic year, full-time tuition is $43,785; room and meals are $12,288. The estimate for books, supplies, fees and personal expenses is an additional $5,535. Costs are subject to change. 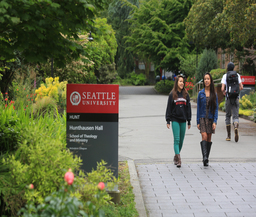 Seattle University operates on a quarter calendar with fall term beginning in late September. Students are required to live on campus for their first two years, and six on-campus residence halls house more than 2,000 students. More than 87% of undergraduates in 2016-17 received financial aid; the average award was more than $28,000. These awards usually include scholarships, grants, loans and Federal Work-Study. 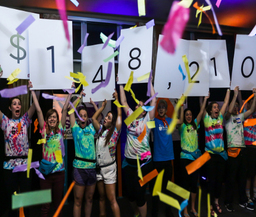 Last year, Seattle University awarded more than $116 million in aid to undergraduates. Students are required to apply for financial aid by Feb. 1, as awards are made early each spring for the following fall quarter. Applications that are received after this deadline will be evaluated in the order received for any remaining aid. Students must submit the Free Application for Federal Student Aid (FAFSA) and be accepted for admission to be considered for financial assistance. A number of freshman scholarships are awarded on the basis of academic achievement, extracurricular involvement and community service. Transfer scholarships also are available. 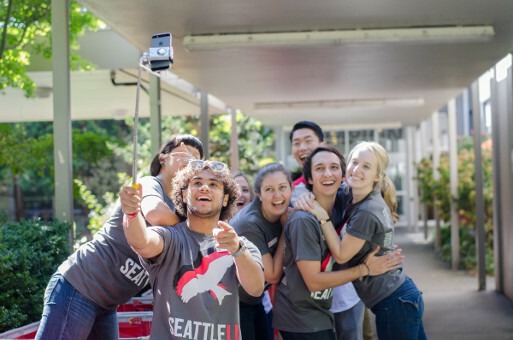 Student Government of Seattle University promotes opportunities for student leadership and involvement and assists in the development of a cohesive undergraduate community. You also can take your pick from more than 130 extracurricular clubs and organizations. 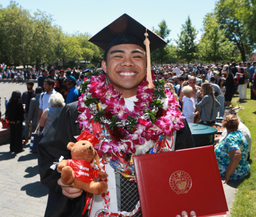 Seattle University students accomplish just as much outside of the classroom as they do in it. Get steeped in the Seattle coffee scene with the Coffee Club. Dig for the truth with the student newspaper, The Spectator. Land an on-air role at KXSU 102.1 FM, the student-run radio station. Or roll up your sleeves to be an advocate and ally for LGBTQ with the Triangle Club. If you have a love for it, we probably have a club for it. Our 50-acre campus, in the vibrant Capitol Hill neighborhood, was designated an official Backyard Sanctuary by the Washington State Fish and Wildlife Department. 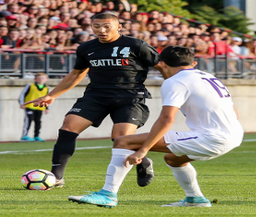 While Seattle University is located in the heart of the Emerald City, our campus maintains a traditional feel; students are members of a vibrant university community with a NCAA Division I athletic program and more than 130 student clubs. The university is considered an "urban oasis" between the First Hill and Capitol Hill neighborhoods in the center of Seattle. The campus has 28 buildings enhanced by $200 million in additions, renovations or new construction in the past 15 years. A major expansion of the campus library, now the Lemieux Library and McGoldrick Learning Commons, provides state-of-the-art digital learning opportunities. The library's media production center features a recording studio, control room, audio/video editing facilities and a theater-style screening room. The College of Nursing's 20,000-square-foot Clinical Performance Lab is among the most technically advanced in the nation, with two clinical practice rooms and a suite of laboratories. The state-of-the-art William F. Eisiminger Fitness Center, tennis courts, track and both natural and synthetic turf playing fields draw students in their off hours. School spirit gets a big boost from Division I athletics, and the university completed a renovation of the Connolly Complex in 2016 to improve the experience of athletes and spectators alike. The immersive city of Seattle makes learning second nature. On campus, our facilities are state-of-the-art, while off campus, art, culture and nightlife are in a constant state of reinvention—and all within walking distance. One minute you're studying in the acclaimed Lemieux Library and McGoldrick Learning Commons, the next you're feasting on world-class sushi then discovering a rock legend-in-the-making long before Spotify does. Model” is the operative word when it comes to sustainability at Seattle University. SU is a model of ecological gardening techniques. The university stopped using pesticides on its 50-acre grounds in 1998. Now it uses integrated pest management (including compost tea) to maintain its campus without the use of chemicals. The result of all this eco-friendly grounds work? Seattle University has been recognized by government and nonprofit organizations as a wildlife habitat, with a diversity of plant material supporting a wide variety of birds and small mammals (yes, in the heart of metropolitan Seattle). SU’s dining services is also a model—it purchases 50 percent of its produce from local farms, buys organic when possible, and offers fair-trade coffee. All to-go ware from campus eateries are compostable. Students who bring a reusable mug get a 20¢ discount on coffee and fountain drinks. A designated recycling and composting technician runs an on-campus compost facility. The facility processes 178,000 pounds of kitchen food waste a year, which is used to fertilize the campus. Food waste bins are outside most buildings, and each residence hall room has a food waste bin. Ultra low-flow toilets, urinals, faucet aerators and showerheads are now installed as the campus standard. An impressive twenty- seven electric vehicles are part of the campus fleet. A student led initiative resulted in the removal of plastic bottled water everywhere on campus. The university installed reusable water bottle fillers on more than thirty water fountains. From I-5 Take the James St. exit off I-5 (coming from the north, exit 165; coming from the south, exit 164A). Turn east up the hill past Broadway until you reach 12th Avenue (.6 miles). Turn left at the light on 12th Avenue and proceed north two blocks to East Marion Street and turn left. The visitor parking lot information booth will be directly ahead. Stop for parking information and campus directions. From I-90 Take the Rainier Avenue North exit (3B) and merge onto Rainier Avenue South (you will be heading northbound). Follow Rainier Avenue South (.5 miles) to the intersection of Rainier Avenue South and Boren Avenue South. Turn slightly left onto Boren Avenue South for two blocks then turn right onto 12th Avenue. Follow 12th Avenue (.7 miles) to East Marion St. and turn left. The visitor parking lot information booth will be directly ahead. Stop at the booth for parking information and campus directions. From Highway 520 Take 520 westbound to I-5 south. Take the James Street exit off I-5 (exit 165a). Turn left on James Street and drive up the hill past Broadway until you reach 12th Avenue. Turn left at the light on 12th Avenue and proceed north two blocks to East Marion Street and turn left. The visitor parking lot information booth will directly ahead. Stop at the booth for parking information and campus directions.